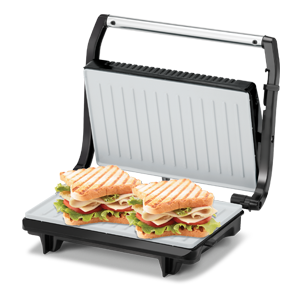 Sandwiches are an easy breakfast option, especially if you have an efficient sandwich maker. However, when sandwiches are loaded with fatty toppings, and unhealthy bread it can transform a healthy breakfast option into an unhealthy one. Ingredients such as cheese, mayo, and some other fatty toppings can easily pack excess calories. 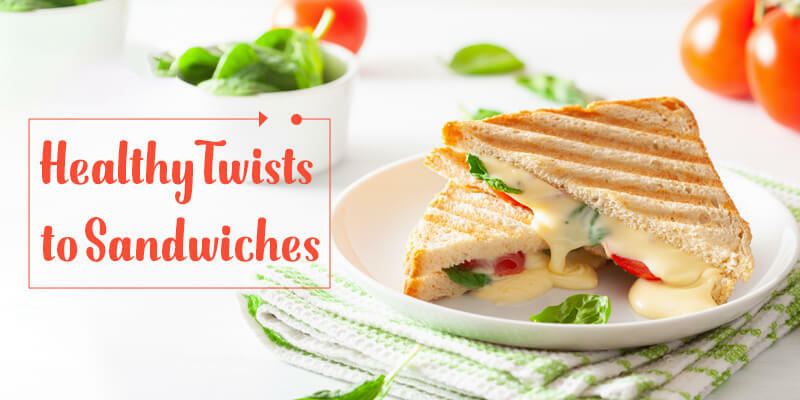 So, instead of loading your sandwiches with fatty toppings, you can give a healthy twist to sandwiches. So, in this blog, we list some tips to add a healthy touch to sandwiches. Adding vegetables instead of some unhealthy filling is a great way to make your sandwiches healthy. You can choose a variety of vegetables such as mushrooms, sprouts, bell peppers are loaded with essential nutrients, which make them a healthy filling for your sandwiches. You can also add water-based vegetables such as tomatoes, cucumbers and lettuce to the sandwiches. However, make sure that you add these water-based vegetables just before eating the sandwich to avoid sogginess. To give your sandwiches a healthy twist, don’t forget to add some eggs. You can add a fried or hardboiled egg to your sandwich. Hardboiled eggs provide 6 grams of extra protein and some healthy fats to your sandwiches. As a result, you get a more satisfying breakfast which keeps you full for a long period of time. This is a common mistake that many of us make. A perfectly grilled and crispy sandwich tastes great but it also robs the sandwich of its essential nutrients. Grilled sandwiches, though taste great, are made with a lot of butter or oil to give a creamy texture. Adding too much butter or oils makes the sandwich unhealthy even if you added all the right ingredients. To make the sandwich healthy, just toast the bread instead of adding too much oil or butter. Sandwiches are a healthy and tasty meal option. However, adding the wrong ingredients can make this healthy option an unhealthy one. Following the steps mentioned above will ensure that you enjoy a healthy, filling and tasty breakfast on the go without adding any extra calories.